The list of things I want and need to do is always much longer than the list of things I actually accomplish. I can’t do it all. I wish I could. I am constantly striving. But at the end of the day, I’m usually just a girl who drops more balls than I catch. Learning to balance running a home-based business with the reality of being a full-time mom is one of those thrive-or-die situations. Either you learn to thrive or it all falls apart. Thriving does not, of course, equal perfection. My house is not always clean, my kids not always well-behaved, my laundry piles up, our bills are sometimes late, and occasionally we eat cold cereal for dinner. The overachiever in me gets frustrated by these failures, but the eternal optimist keeps hoping that someday it will all come together. Take 10 minutes to list your priorities and to examine who or what is important to you. Keep this list in a place where you can look at it frequently, and make sure the big stuff comes first. Think of your life as a jar you want to fill with rocks & sand. If you put the sand in first, the rocks won’t fit. The amount of time you spend on things should be somewhat relative to how important it is in your life. Life is short and moments are precious. Don’t waste time on the things that don’t matter. Setting the timer can be one of the best ways to motivate yourself. For instance, if you give yourself only 30 minutes to tidy your house, you will most likely get more cleaned in less time than if you weren’t racing against the clock. 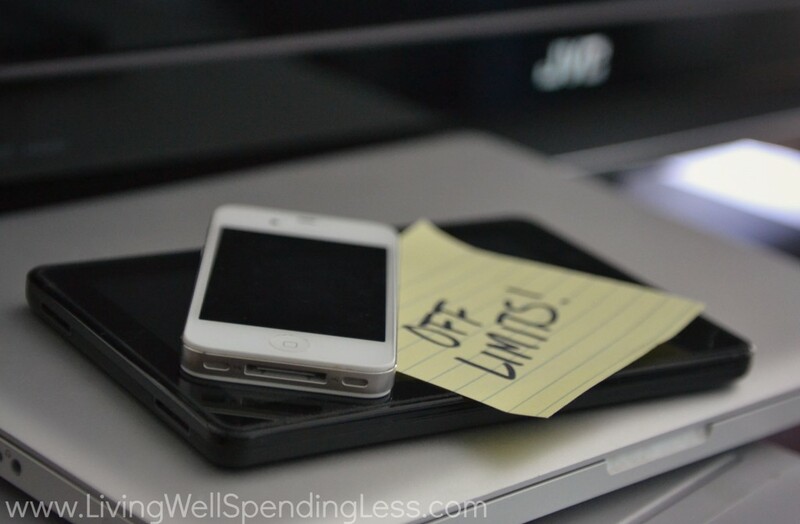 Limiting your time on seemingly endless tasks like email and Facebook helps a lot too. If you only have 15 minutes to sit at the computer, then you have no choice to prioritize. Likewise, setting the timer helps accomplish tasks you might normally procrastinate, such paying the bills. Telling yourself you only have to do it for 45 minutes is powerful motivation to get it done. Give yourself 10-15 minutes each morning to drink a cup of coffee and write down your to-do list. 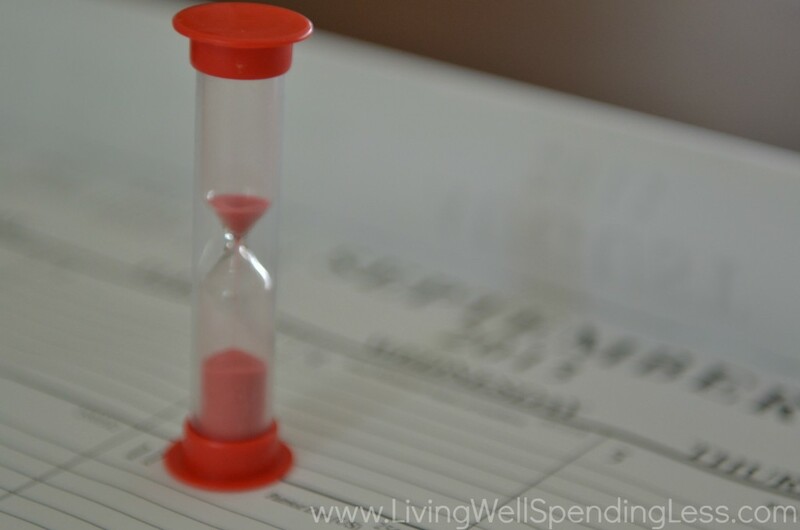 Likewise, take a few minutes at the end of the day to figure out what my plan is for the next day, and perhaps complete a few quick tasks that will make your morning easier, such as picking up clutter, making lunches, or setting out clothes. Knowing what is coming up, what you have to get done, and what you’d like to get done can help keep you focused. Clear and specific goals are essential to managing your time well. Break them down into long-term and short-term goals, the break larger goals into manageable tasks. All your goals should be specific enough to know when you’ve achieved them, and they should also have an end date. Refer to your goal list often, or post it in a place you can look at it daily. Not sure how to start? Grab my free 18-page printable goal-setting workbook here. There is something so satisfying about crossing completed items off your list. A daily to-do list helps you stay focused in spite of the billion distractions–kids, phone calls, email, errands, runaway dogs, etc.—you encounter each day. Try to keep your task list small enough to actually be doable. I have personally found that a 3×3 Post-It note pad is the perfect size to keep my list manageable. If the pad is full, that’s enough! For the longest time I was trying to accomplish things around my kids until one day it finally occurred to me to let them help. Sure, things may take a little longer, but instead of ignoring them and saying “not right now, mommy’s busy” we are spending quality time together. My youngest daughter loves helping unload the dishwasher, loading the washing machine, wiping the table, and picking up toys. My oldest, on the other hand, is a big help with sorting the laundry, hanging clothes, and clipping coupons. And they both love to help me cook. The hour or so before mealtime used to be extremely stressful, with 2 crabby, hungry, & whiney kids who just wanted my attention. Now they can’t wait to help me make dinner every night and instead of dreading that time of day, I cherish it. At least some of the time. If you have small children at home, you know how hard it can be to accomplish anything while they are awake. When my kids were really young, I would split my to-do list into things I could do with the kids or while they are awake and things I needed to accomplish while they were napping. The second they would go down for their naps, I would stop whatever awake-time task I was working on and switch to the nap-time list. It was amazing how much I could get done during that time! Consider how different your life might be a year from now if you committed to waking up 30 minutes early each day and to spending that 30 minutes working towards your most important long-term goals. How many of them would you be able to accomplish? Countless studies have shown that almost everyone is more productive first thing in the morning. Use the peace and quiet of the early morning to complete your most important tasks and you will never regret missing that extra hour of sleep. I am a morning person, so getting up at 5am doesn’t bother me. And to be perfectly honest, I love the peace and quiet and alone time I get at that time of day. I am so productive! I figure there will be plenty of time for sleep when they’re teenagers, right? This includes television, smart phones, computers, and tablets, or even video games. We’ve become so accustomed to having an endless stream of technology at our fingertips that sometimes we forget that we don’t need to be connected all the time. For most people, myself included, the temptation to “just quick check” something—especially after hearing that telltale ping–is often too great to resist, and before you know it, a whole hour (or more) of precious time has slipped away. Combat this temptation by consciously scheduling technology-free times each day, then by physically logging off or shutting down the device. For me, this is the hardest part. But I’m learning. Luckily I have a great husband who not only helps out around the house, but helps remind me of my priorities and tells me its okay if I can’t do it all. Because no one can do it all. It is just not possible. So try to relax, do what you can, take a break when you need it, and don’t get so caught up in your to-do list that you forget to take each moment as it comes.